A beautiful Adult Sized Lilac Urn with a Gold Rose. 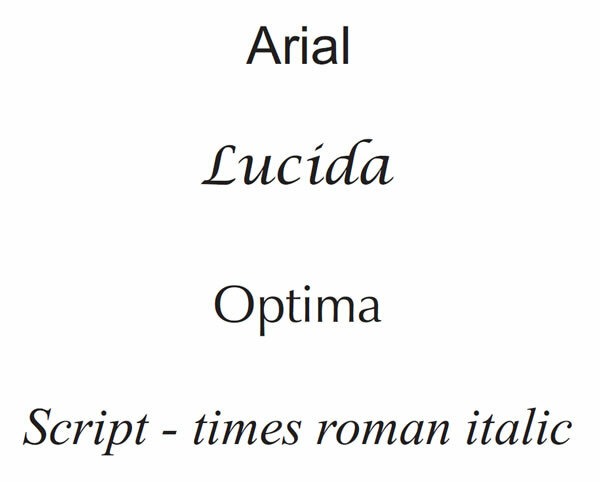 Also available in Emerald. 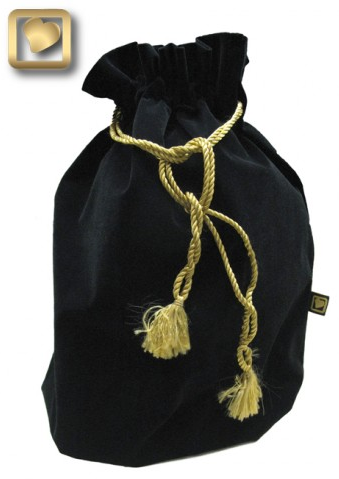 Includes: FREE Velvet Urn Bag and Ground Shipping Included! Keepsakes: Matching keepsakes are also available. 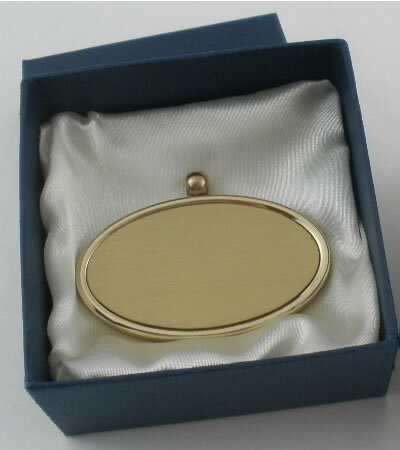 Personalization: Engraved Metal Gold Oval Pendant (1.6" x 2.6") with GoldSatin Ribbon. Pendant ships separately via USPS 1 -2 business days after ordering. Volume: 200 cubic inches. Standard Adult size urn. Material: Crafted from the finest solid brass with a black gloss finish. Velvet Urn bag Included. 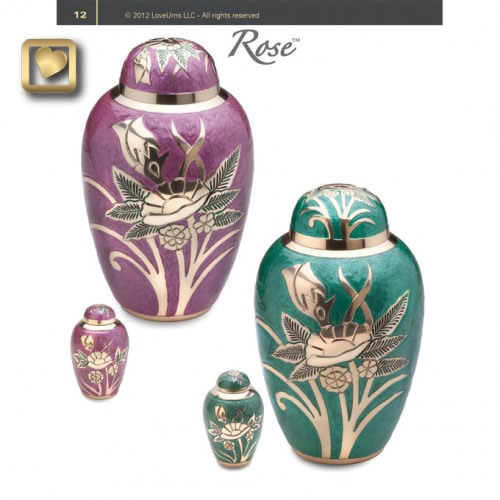 Gloss finish is specially fomulated for these LoveUrns® Collections. Filling: Easy access from a secure threaded lid. Delivery: FREE Ground Shipping - Expedited Shipping available - Usually ships same day as ordered if received by 1pm EST. Return Policy: 100% Satisfaction. If you are unhappy for any reason with your purchase we want to know! Just call or email for a Return Authorization. Please call 800-511-0295 if you have any questions about delivery, or personalizing your urn.